Dead Sympathy - Blue Penguin Films - Director/Cinematographer - 35MM three perf - Full length intense psycological thriller. night, stunts, etc. (Currently in production). Atlanta Blue - Alpha Film Group, Inc. - Director of Photography - 16MM - 1999 Release full length police action feature set in a carnival. Directed by David Heavener. Sharp - Blazing Arrow Productions - 2nd unit DP - 2nd unit editor. Betacam SP - Action feature featuring Troy Ashford as Sharp. Heavy on stunts, fight scenes, explosions, and fast paced action. Amoco Marquesa' Lana - Smith Garner Productions - Director of Photography - 35MM - Panavision Panastar / Mitchell Mark II. 3 thirty second national commercial spots. Involved lighting and shooting studio action sequences, slow motion photography, tabletop photography, and shooting for special effects. Gunston Cigarettes - Kinahcam International - 1 of 7 Cinematographers - 35MM Cinemascope - Arriflex IIC: Series of 6 minute soft sell commercials featuring stylistic action footage of Can -Am and Nas Car racing. Also involved rigging helmet cameras for drivers. Fireside Log Homes - Tom Loe Productions - Director of Photography / Editor - 16MM - CP16R Regional commercial for Fireside Log Homes. Involved lighting interiors and exterior locations. Digital Imaging - Eastman Kodak Company - DOP - 16MM- Arri SRII: Documentary of the construction of Kodak's Digital Imaging facilities for the 1996 Olympics. 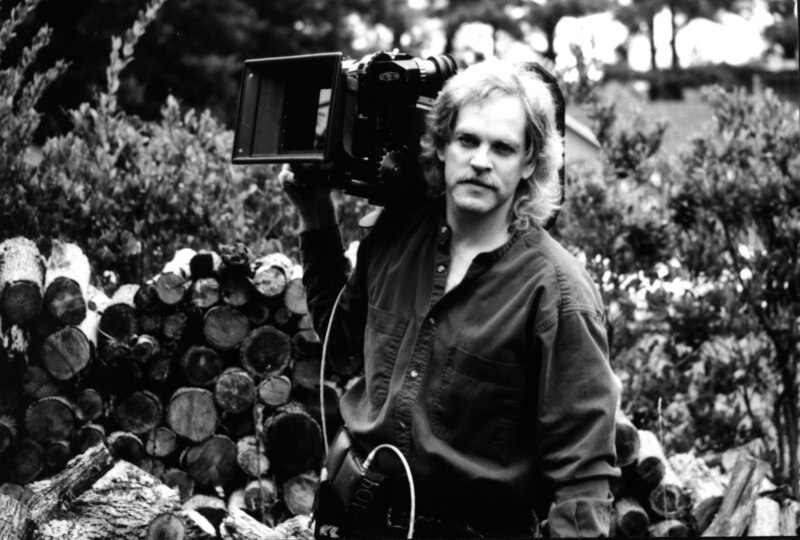 Guilford of Maine - Kinekom, Inc. - Director of Photographey - Betacam SP - Sony PVW537 Video production for interactive CD-ROM featuring the Manufacturing process of a major textile company in Guilford Maine. Involved shooting in several New England locations, Maine landscapes, and extensive lighting, tracking and dolly shots in manufacturing plants. Project Safe Georgia - GA Power Company - Director of Photography - 16MM - Arri SR1: 8 minute semi-comical video illustrating the benefits of following OSHA safety regulations from a financial viewpoint to state wide home builders. Involved staged slow and fast motion sequences and location sync sound. Trouble Call - GA Power Company - Director of Photography - Betacam SP - Sony PVW537A: A 1 hour video explaining a new comprehensive interactive computer system designed to automate information gathering and maintenance control of power distribution. Involved location interviews, interior and exterior staged sequences, lighting cubicles and control facilities, and shooting various computer screens using clearscan. Dropping Around - Precision Parachutes Inc. - Director of Photography - 16MM - Eclair NPR Photosonics Actionmaster 500. Film designed to show how Precision's canopies meet the strictest safety standards. Involved staged aerial sequences, action sequences and slow motion photography. Olympics 1996 - GA Power Company - Lighting Cameraman - Betacam SP - Panasonic AQ20 Ongoing documentary featuring Georgia Power's involvement in the '96 Olympics from the winning of the bid through the 1996 Games. Involves studio and location production and coverage of Olympic events.. Coaching Special Athletes - GA Power Company - Director of Photography - Betacam SP - Panasonic AQ20 A video series designed to teach coaches how to train kids for competition in the 1996 Para Olympic games. National Lineman's Rodeo - GA Power Company - Cinematographer - Betacam SP - Panasonic AQ20. Highlight film of the National Lineman's Rodeo and surrounding activities in Kansas City. Footage is also being used for a series of commercials on GPTN. Survivors of the Shoah - SOTS Fountation - Director of photograpyy - Betacam SP -Sony PVW537 An ongoing world wide project headed by Stephen Speilburg gathering interviews of Holocast survivors for world wide access to the largest archive in history of information on the Holocost. Involves lighting and shooting survivors on location in their homes, etc. Olympics 96 - Reebok (production company - Atlanta Teleproductions) - Director of Photography - Betacam SP - Ikegami HL57 - Shooting Reebok spoksperson and Olympic Gold Medalist at Olympic venues. Involved lighting and shooting locations and automobile interiors. CBS Sports - Skulling 1996 - Betacam SP - Sony BVW300 - Skulling championship for olympic compitition between Ivy League skulling teams - Involved extensiving shooting of interviews and events from boats. Football Highlight Films - Target Sports Inc. - Cinematographer- 16mm - Arriflex M, Eclair NPR - 4 years shooting top and some ground camera for annual college highlight films (primarily University of Florida) Involved slow motion NFL Films style action shooting , interviews, wiring coaches for sound, and atmospheric pre-game coverage. ESPN - Braves World Series - 1997 - Lit and shot anchors on field and shot live press conferences following game. UGA Football - University of Georgia 1986 -1989- 16MM Cameraman/Editor - Eclair NPR - Arri M - 3 years shooting, editing, and maintaining the UGA coaching film program. GA Tech Football - GA Institute of Technology 1983 -1986- 16MM Cameraman - CP16 - 3 years shooting end zone game films for the Yellow Jacket coaching film program. Atlanta Falcons - Falcon Films 1975-1979 - 16MM - Tight Line/End Zone/Training Camp Cameraman/Editor - Arri M - CP16R: 5 years shooting, editing, and maintaining the Atlanta Falcon coaching film program. Threshold Productions - 1982-1984 - Cameraman - 16MM/3/4in.Video - Motor Sports coverage for a variety of clients including Motor Sports Weekley and Ford Motor Company. Production Services Atlanta - 1983 Camera Technician - Atlanta rental facility: Technician for PSA Camera Department including Arriflex 35BLIII, Arriflex 35III, Arriflex 16SR, CP Gizmo, Steadycam III, Tyler Helicoptor Mounts, Kenworthy/Nettman Snorkel System, Mathews Cam Remote. Image Devices International - 1980 - Camera Technician - Atlanta rental facility: Technician for IDI Atlanta Camera Department including Arriflex 35BLIII, Arriflex 35III, Arriflex 16SR, CP16R, Eclair ACL, Steadycam III, Continental Helicoptor Mounts, Mitchell BNCR, Richter EMP. Cinefilm - 1979 Lab Technician - Color Negative and Color Positive Processing.